A lot of people are dissatisfied with how their eyebrows and eyelashes look. For many of these people, the issue is that the eyelashes or eyebrows are too light-colored or too sparse. To counter this problem, women have the option of using make-up to make their brows and lashes more defined. What about men, and also what about the women who are tired of the constant application of makeup? For these, there’s eyebrow tinting. Eyebrow tinting is the addition of color to lightly colored eyebrows, with the intention of making the eye area more defined. Our major clients for this procedure are women and men with blond, reddish or light-brown hair, as this hair might seem unnoticeable especially when it occurs sparsely. The definition of your eyebrows could dramatically alter your entire facial look, and this is the reason why many women take the trouble to draw on their eyebrows, keen on achieving a particular look. The problem with drawing on eyebrows and using other eye makeup to better your eye area’s look is that one is usually never accurate, and even if they are, it is a time-consuming process. Eyebrow tinting eliminates the need to constantly retouch your eyebrows, and you can look forward to 4 to 6 weeks of less hassle as far as your eyebrows are concerned. Keep in mind that the period depends majorly on how long your eyebrows take to fall off and grow afresh. 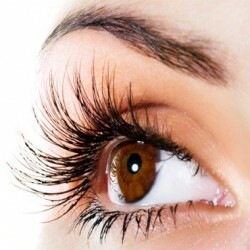 For a dramatic effect, we can combine eyebrow tinting with eyelash extensions. This way, you will have perfectly shaped well defined eyebrows and full eyelashes that make your eyes pop. Combined with smoky eye makeup, this will give you a great look especially if you want to look great for a date. It is important to remove all your eye makeup before you undergo our tinting procedure. Removing your make-up is a great way of ensuring the area remains clean before and during the procedure, besides ensuring that the procedure goes on smoothly with no hitches. Eyebrow tinting takes about thirty minutes to complete, after which you will be free to go about your normal business. However, you must take care to not wet the eyebrow area immediately after application as this will ruin your good look before it sets in. Therefore, stay away from swimming pools and sweaty activities until you are sure the tinting has completely set in.